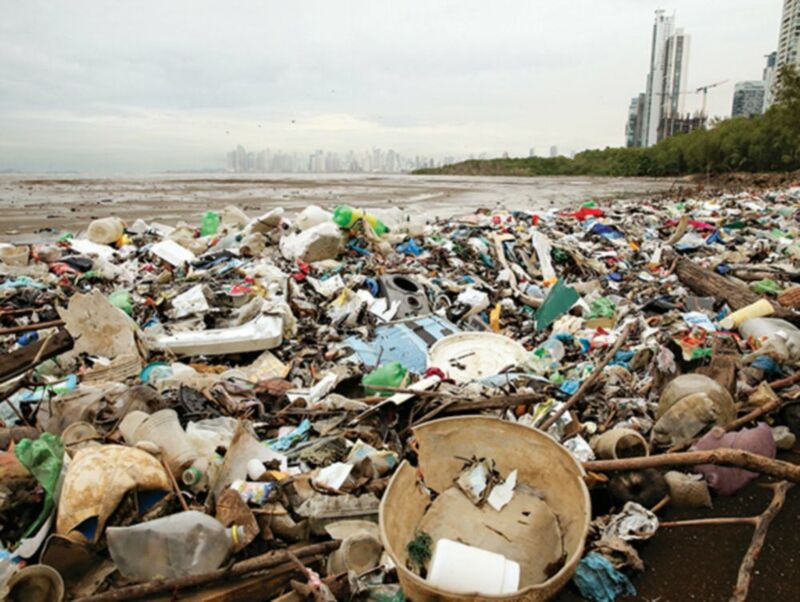 A containment barrier in the Matías Hernández River.placed by the Marea Verde Association prevented tons of plastic waste and garbage from reaching the Bayo Panama and Pacific beaches after the rainstorm on Saturday, April 6. The barrier was anchored on both banks of the flow and is designed to adapt to the fluctuations of the river current. Glad they caught the garbage. Guess that means now we can all feel safe about eating the salt recovered from the Pacific, by the Panamanian salt providers? You know, the salt shown to have a predictable and consistent level of plastic particles? We should all be enraged at a gov't forcing consumption of this product, while restricting access to any choice. It is clearly a political decision, driven by profits for the politician who pushed the rule. And if you think the added iodine is any relief from the damage, you're wrong, It simply creates the next problem of dangerous, excess iodine levels in people who had no iodine deficiency in the first place, and an imbalance in the minerals that interact with iodine. Incomplete solutions are like no solutions at all, or even like - problems! In admiration of the foresight and anticipation by this private group of trash with the first heavy rain. Now what ? The next rain will overflow the barrier unless the trash is removed.